On the occasion of READYMADES BELONG TO EVERYONE, please join us for a conversation between Nathan Silver and Eva Díaz, moderated by Martino Stierli, the Philip Johnson Chief Curator of Architecture and Design at MoMA, on the crossovers between concepts of the readymade, the accident, and the adhoc, as they have moved and developed through architecture and design. Eva Díaz is Associate Professor of History of Art and Design at the Pratt Institute in Brooklyn. Her book, The Experimenters: Chance and Design at Black Mountain College, was released in 2015 by the University of Chicago Press. She was recently awarded a grant from the Graham Foundation to work on her new book After Spaceship Earth, analyzing the influence of R. Buckminster Fuller in contemporary art, a project also supported by a Warhol Foundation / Creative Capital Art Writers Grant. The most recent sections of the project focus on artists’ experiments in challenging a privatized and highly-surveilled future in outer space, and how the space “race” and colonization can be reformulated as powerful means to readdress economic, gender, and racial inequality, as well as ecological injustice. Her writing appears in magazines and journals such as The Art Bulletin, Artforum, Art Journal, Art in America, Cabinet, Frieze, Grey Room, Harvard Design Magazine, October, and Texte zur Kunst. Nathan Silver is co-author with Charles Jencks of Adhocism: The Case for Improvisation, a book broadly about the benefits of design democracy. As an architect and writer who has worked in the USA and the UK, he taught design at Columbia and Cambridge Universities, was chairman of the Soho Theatre in London, and was Head of the School of Architecture at the University of East London. He has been a recipient of a John Simon Guggenheim Foundation Fellowship, and was The New Statesman’s regular architecture critic for eight years. Silver began campaigning for participation in design by everyone in the 1960s when living on Horatio Street in the West Village, where he was a friend of Jane Jacobs and one of her keenest acolyte activists. In print he was a critic of comprehensive redevelopment, and a prominent advocate of urban conservation through his book Lost New York, which was nominated for the US National Book Award. 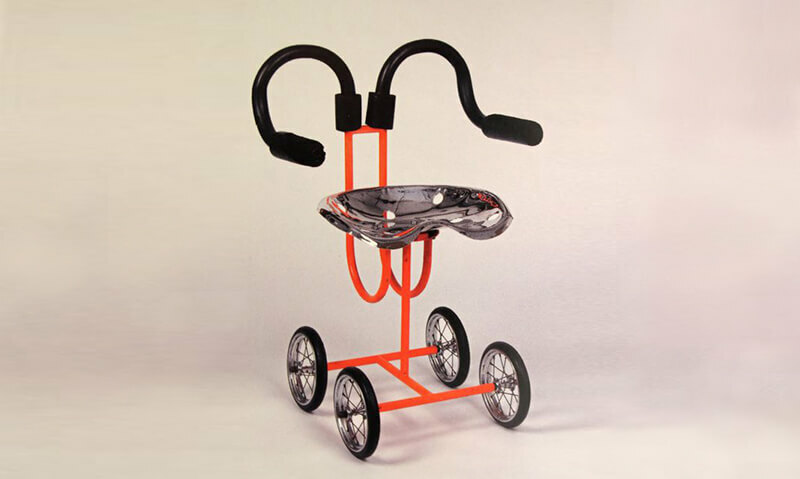 Silver’s own design work has exemplified combining old with new—for example with his Ad Hoc Chair, now in the permanent collection of the Victoria and Albert Museum—and in strongly promoting design participation by design users. Martino Stierli is The Philip Johnson Chief Curator of Architecture and Design at The Museum of Modern Art. The exhibition he co-curated, Toward a Concrete Utopia: Architecture in Yugoslavia, 1948–1980, just opened at The Museum of Modern Art. His project The Architecture of Hedonism: Three Villas in the Island of Capri was included in the 14th Architecture Biennale in Venice in 2014. He has organized and co-curated exhibitions on a variety of topics, including the international traveling exhibition Las Vegas Studio: Images from the Archives of Robert Venturi and Denise Scott Brown (2008–14). Stierli’s monograph Montage and the Metropolis: Architecture, Modernity and the Representation of Space has just been published by Yale University Press. His first monograph, Las Vegas in the Rearview Mirror: The City in Theory, Photography, and Film (Getty Research Institute) was published in 2013. His scholarship has been recognized with a number of prizes, among them the ETH Medal of Distinction for Outstanding Research (2008), the Theodor Fischer Prize by the Zentralinstitut für Kunstgeschichte, Munich (2008), and the 2011 Swiss Art Award for Architectural Criticism. In 2012, Stierli was a fellow at the Getty Research Institute in Los Angeles. Previous to his position at MoMA, he was the Swiss National Science Foundation Professor at the Institute of Art History of the University of Zurich. He has taught at various universities, including Princeton University and ETH Zurich, from where he holds a PhD. This program is made possible in part through support from the Consulate General of Switzerland in New York.